On Delfin Amazon Cruises, we set the highest standards for impeccable service, unique style and superb cuisine. 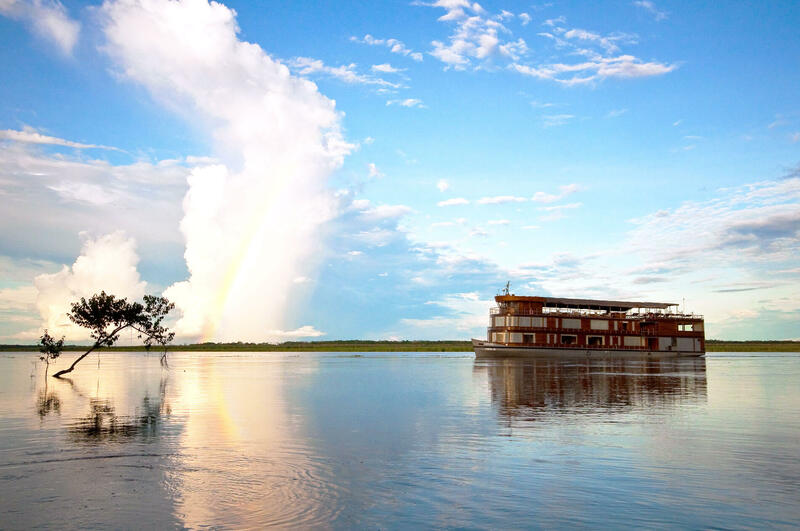 Cruising the Amazon River aboard our exclusive vessels will take you one step beyond luxury, where comfort and grace combine effortlessly with the wilderness of the Amazon in a setting of understated elegance and world-class hospitality. Our three boutique cruises ­−Delfin I, Delfin II and Delfin III− thrive in splendid harmony with nature and its spectacular surroundings, and our guests appreciate the “noncruise” atmosphere and the sense that you are on board to explore one of the world’s most intriguing environments. Our luxurious cruises that sail in the Peruvian Amazon region offer exclusive oversized suites with panoramic private terraces. 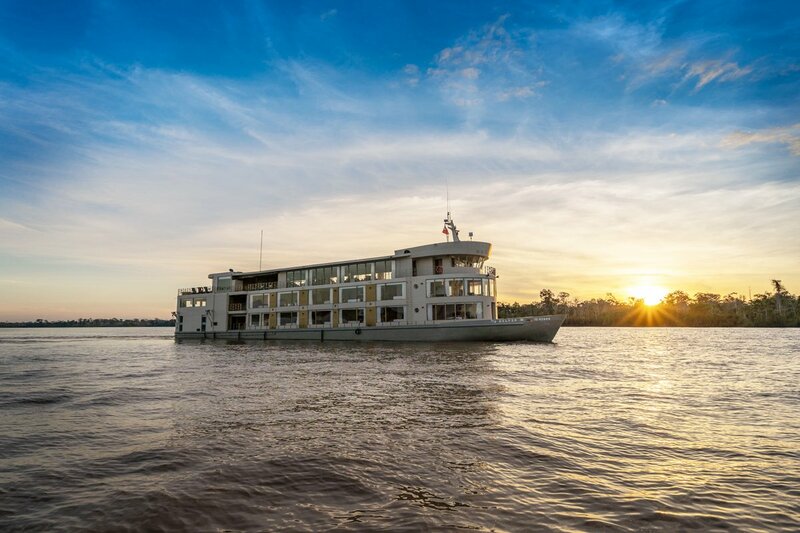 Cruising the Amazon River aboard our exclusive vessels, travelers will be spoiled by the floor-to-ceiling windows that allow nature to be part of the natural suite décor. Three times daily cabin service will ensure you the most optimal personalized service possible. On the top deck, you will find a lounge area, bar and entertainment center which are perfect places to relax in while the jungle unfolds before your eyes. Your Amazon journey takes off on arrival in Iquitos, were we will personally pick you up and take you to our vessel. In the following days, you will experience an ideal combination of natural wonders, dramatic scenery, indigenous cultural history and a relaxed self-contained way to explore the rainforest while sightseeing nature at its best. 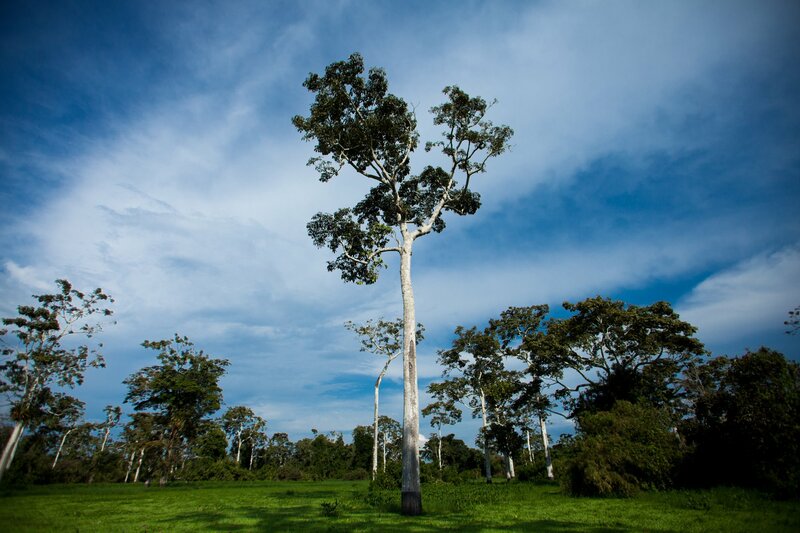 Here in the Pacaya Samiria National Reserve, the second largest national reserve in Peru, you will explore one of the world’s most intriguing environments. Known also as the mirror forest, it is the largest protected flooded forest in the world and houses an incredible display of flora and fauna. Cruising the Amazon River aboard our luxurious vessels, you will engage in fantastic activities and sports connected to nature, like swimming with pink dolphins, kayaking in the calms creeks and lakes, paddleboarding, fishing piranhas at sunset, navigating the Amazon River on skiffs, birdwatching and canopy walking among the incredible tall trees of the jungle. 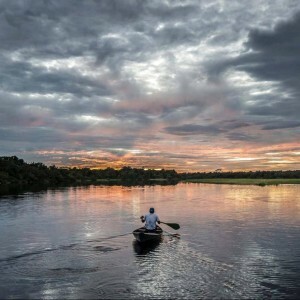 Embark on a marvelous adventure cruising the Amazon River. 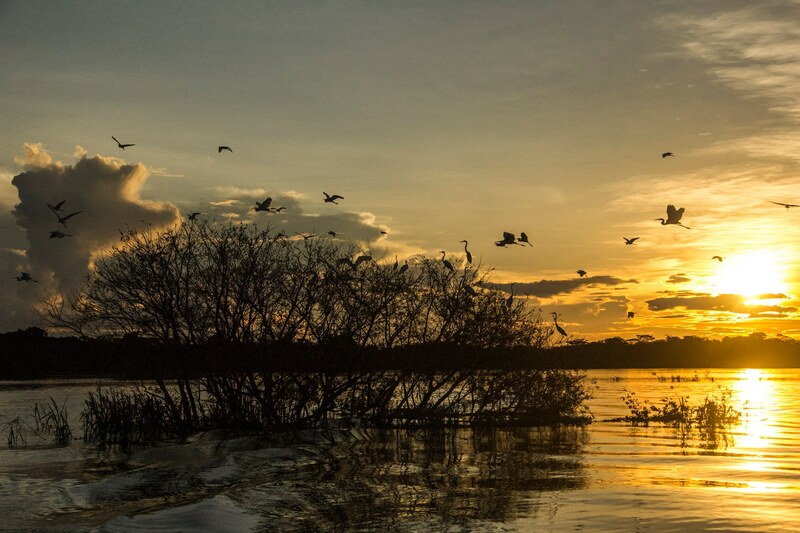 In Delfin Amazon Cruises, there are departures during the whole year. Fore more information on the exit dates, click here.